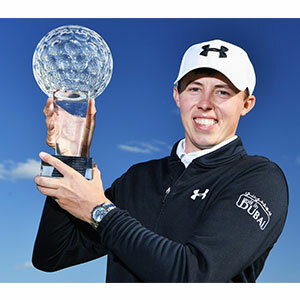 Matt Fitzpatrick picked up his second European Tour win and strengthened his chances of making a Ryder Cup debut after a dominant victory at the Nordea Masters. The 21-year-old held a five-shot lead overnight at Bro Hof Slott Golf Club which fell to just two around the turn as Nicolas Colsaerts attempted to assert some pressure on the Sheffield-born star. But Fitzpatrick held his nerve as others failed to do so securing a final round of 71 to triumph by three shots over Denmark’s Lasse Jensen, who secured a spot at next month’s Open championship. What Fitzpatrick said: “It was great, I’m delighted to win. “It was a great final day for me and I managed to hold onto my lead fairly well and get the win. I felt like today was the round were I would be under the most pressure. “I was keeping an eye on where I needed to get to but I was just taking one hole at a time and I was so zoned-in to my own game, I didn’t know what was gong on around me half the time.